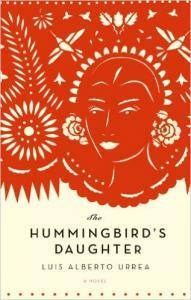 Urrea fashions an astonishing novel set against the guerrilla violence of post-Civil War southwestern border disputes and incipient revolution. His brilliant prose is saturated with the cadences and insights of Latin-American magical realism and tempered by his exacting reporters eye and extensive historical investigation. The book is wildly romantic, sweeping in its effect, employing the techniques of Catholic hagiography, Western fairy tale, Indian legend and everyday family folklore against the gritty historical realities of war, poverty, prejudice, lawlessness, torture and genocide. Urrea effortlessly links Teresitas supernatural calling to the turmoil of the times, concealing substantial intellectual content behind effervescent storytelling and considerable humor.